We are constantly striving to give excellence in customer satisfaction. To that end, we provide amazing customer service, amazingly fast order approvals and payouts, and personal attention to each and every one of our members. Besides free gifts, free prizes, and free cash, we are more than willing to do custom orders for our members! Just tell us what you want, and we will tell you how many referrals you need! Below you will find personal testimonials from many of our members! These are not edited, and are presented here exactly as they were given to us. Please take a few minutes to read through these, so you know exactly what YOU can expect from our sites! We think that you will find these testimonials to be a mind changer if you are sitting on the fence regarding the decision to become a member of the Free Treasure Chest Network. We hope you will join our members, and soon put your own testimonials here! and we will add it quickly so that other members may enjoy it! Outstanding, thank you so much for the quick responses on the follow-up. What a refreshing surprise, a support system in a program that actually replies in a timely fashion!!! Be sure to notify the managers that a member such as myself is pleased with the support service. Much appreciated. I do not know who is behind the computer(s) over there but they are darn great at their jobs... Thank you for your endless help to resolve a problem when it comes about. God bless!! Keep up the great work!! 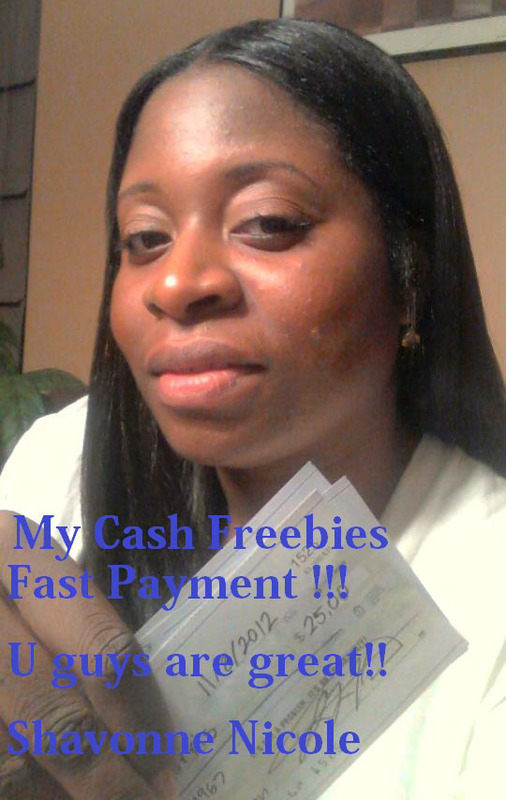 "I have been doing freebies for sometime now, I have to admit that My Cash Freebies is my favorite network. I love the fast payments, and when I have a question I get an Immediate response via email. The folks at My Cash Freebies are awesome and I appreciate their professionalism." Thank you My Cash Freebies,YOU GUYS ROCK! My name is Kareem Williams and I wanted to write this testimonial for the Single and the Express my cash freebie sites. These sites are by far the best Freebie sites on the market. They pay fast, they answer your emails in a timely matter and they have great customer service. It was really awesome to have $100 dollars sent to my paypal account in less then 4 hours of me submitting my order. That money kept my cell phone from being cut off. They also awarded me a free green because I could not compete any of the offers on their site because I had did them all on other sites. Now what other freebie site is doing that? Thanks a million for being awesome My Cash Freebies! So it started out about a month ago. 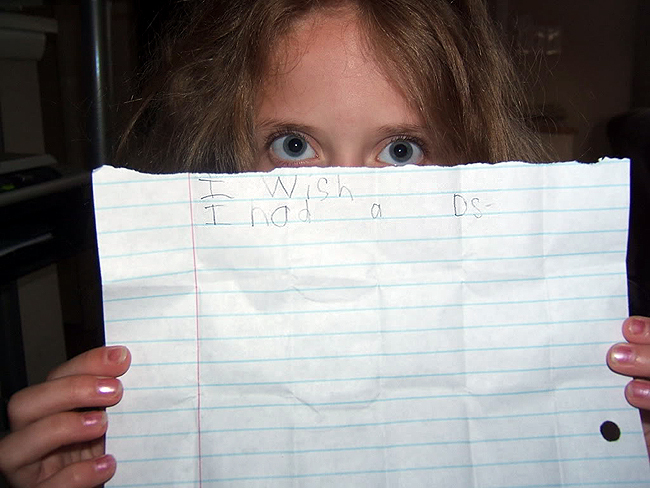 My 5 year old daughter came home from school and wrote on a piece of paper that she wanted a DS. She wouldn't tell me but every chance she would get, she would show me the piece of paper. A friend of hers had one and she wanted one too. A pink one too. With the way things are with the economy and because money just does not grow on trees around here, I was like no way.... I priced a DS and I'm like, um....NO!!! Then you have to buy games. So then I got thinking...Normally I take the cash option on all my payouts, so I started browsing my sites to see which site would be best with the custom order and what not. I received a few responses, and the BEST came from PARADISE FREEBIES. Not only were they the best with the custom order of my choice, but they are the BEST in many ways. For those of you that don't know, PARADISE FREEBIES is available 24/7....and it's not the same 24/7 that most sites claim to be and then never are, they are truly available all the time. They approve and pay orders promptly. I've had times when they would contact me on AIM and tell me to place my order if I haven't noticed that I had a green yet. It doesn't get any better than that. 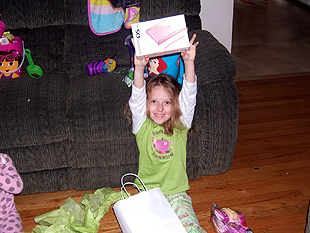 Ok...so back to my story... My daughter, Julianna really really wanted a DS. 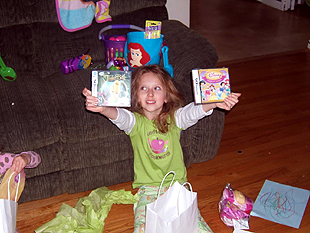 I was not giving in and spending all that money on a DS and games that was going to cost me almost $200. 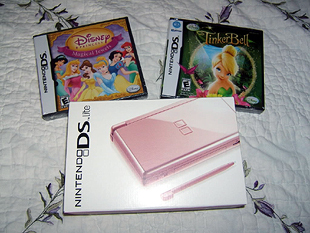 So long story short....I found a few games and the Pink DS and I contacted Paradise Freebies. In the mean time, I won a weekly race that they had which gave me an additional $50. 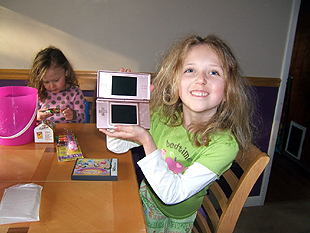 So with 2 easy refs and and my weekly winnings, I was able to get my daughter a Pink DS and 2 games. A Special Thank You to Paradise Freebies for being the BEST and putting a HUGE Smile on my daughter's face.